The G-Men Share A Touching Tale Of Heartbreak In This Cover Of Beyonce's "Sandcastles"
It may be a bit early in the week for an emotional gut check, but when the presentation is this moving, how can we pass it up? 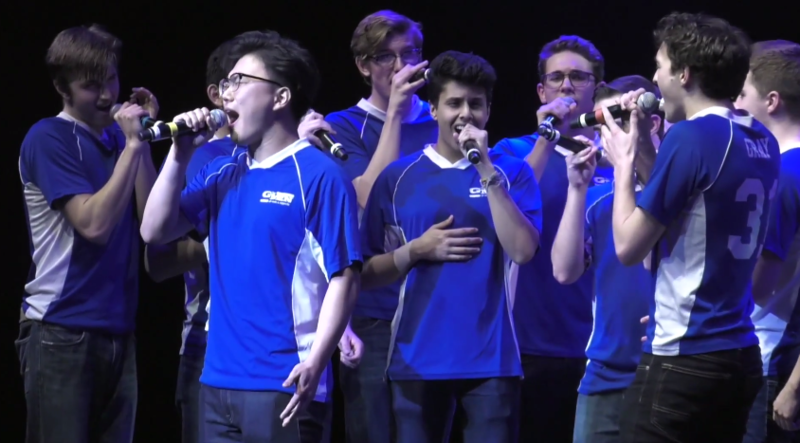 In this cover of Beyonce's "Sandcastles" by the University of Michigan's G-Men, we're nearly at a loss for words. Part of the reason may be that we're too occupied with wiping tears away due to the overwhelming flood of emotions the song's delivery has us experiencing. The song's focus on an unsuccessful relationship that left some serious scars is felt earnestly through the lead's heartbreaking vocals. The G-Men's ability to effortlessly invite listeners into such a personal performance is so genuine and real that we almost feel like intruders. This is a performance for the aca-history books.